The Trump administration is giving away access to our public lands for discovery and exploitation of minerals and fossil fuel reserves. Conservatives and mining interests are setting a place at the table to get their share. The administration’s assault on national monuments is upsetting on a number of levels. It is the culmination of an effort by conservatives to divest government control over national parks and monuments, something most of us thought was long settled. It’s not settled at all. 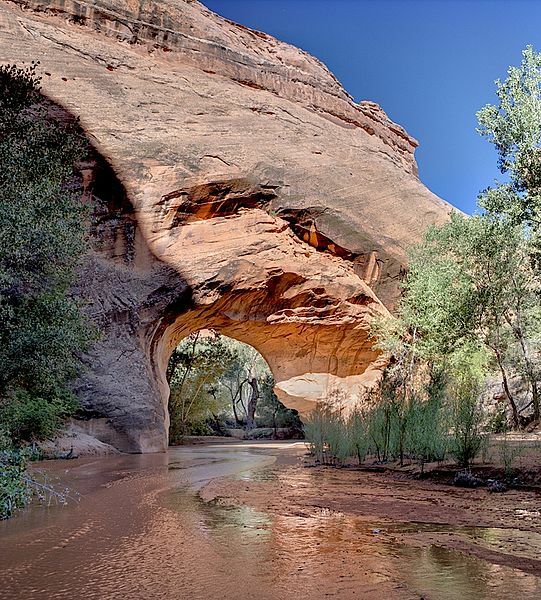 A Canadian mining firm, Glacier Lake Resources, Inc., has staked a claim on land that was, until recently, part of Grand Staircase-Escalante National Monument in Utah. The Vancouver-based company said in a press release it plans to mine copper, cobalt, zinc, and other minerals from the Colt Mesa deposit about 35 miles southeast of Boulder, Utah. On Feb. 2, four members of the Lamoreaux family, which owns a small mineral company called Alpine Gems LLC, staked an 80-acre claim near Butler Valley, southeast of Cannonville. On May 9, Alpine Gems staked three 20-acre claims in that same area. The looming danger for Utah’s rural communities comes from the Antiquities Act of 1906, which was originally intended to protect objects of historic and cultural interest, such as artifacts and religious sites. Unfortunately, what was once a narrowly targeted tool for preventing looting on federal lands has become a weapon of faraway elites to use against hardworking rural Americans. That is why I am introducing the Protect Utah’s Rural Economy, or PURE, Act. This bill would protect Utah from future abuses under the Antiquities Act by prohibiting the president from establishing or expanding a national monument in Utah unless the proposed monument has been authorized by an act of Congress and the state Legislature. Rural Americans want what all Americans want: a dignified, decent-paying job, a family to love and support and a healthy community whose future is determined by local residents — not their self-styled betters thousands of miles away. Lee’s argument is a genome away from political theorist and the seventh vice president of the United States John C. Calhoun’s arguments in support of slavery and state’s rights. Calhoun is remembered for defending slavery and for advancing the concept of minority rights in politics, which he did in the context of defending white Southern interests from perceived Northern threats, according to Wikipedia. The Wilderness Society is challenging Trump’s proclamations in court and monitoring the progress of the companies seeking to extract minerals. It may not be enough. Read more about The Wilderness Society’s efforts to protect our wild areas and fight back against the anti-conservationist movement at wilderness.org. If you are in a position to help financially, here is a link to donate to the Wilderness Society. This entry was posted in Environment, Politics and tagged environment, politics, sustainability. Bookmark the permalink.